Inventors and innovators of tomorrow will be flocking to NIU’s DeKalb and Naperville campuses this fall for an exciting new season of STEM Saturdays, classes that give students hands-on experiences with science, technology, engineering and math. The classes, which cover everything from robotics to virtual reality, are designed for students from age 7 to adults. Each class takes place over two Saturdays, and each was designed by NIU’s STEM Outreach department to help students learn important STEM concepts in a fun environment. The list of classes, complete with dates, location and registration info, is available online. No matter the subject, the emphasis is on learning by doing, using trial and error to reach that exhilarating “eureka!” moment. In the “Science of Flight” class, for example, students will explore the physics of air travel by designing and constructing models of different flying machines. As a final exercise, students will build and launch their own rockets. Students in “Stop Motion Animation” will direct short movies, and in “Chemistry Investigations” they will cook up glow-in-the-dark slime. Three different “STEM Divas” classes will expose young women ages 7 to 10 to the STEM fields. 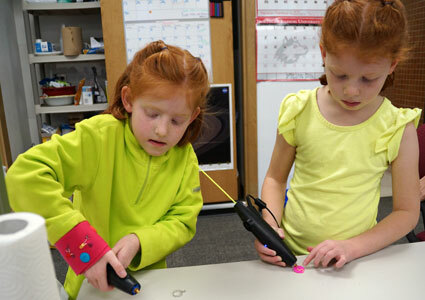 This popular series of classes, which STEM Outreach began offering last fall, gets female students hooked on STEM with activities like using 3D printers to make custom earrings. to that of 3D printers, to create their own jewelry. Even the youngest little Einsteins of northern Illinois get a class. “Stem Jr.” introduces students as young as seven to the basic concepts of engineering and design with hands-on challenges. Each student will leave with a completed project of which he or she can be proud. As with all STEM Saturday classes, parents are welcome to stay and participate, too. Classes kick off Saturday, Sept. 12, and run through Saturday, Dec. 5, with a special STEM-themed holiday party for all STEM Saturdays participants and their parents Saturday, Dec. 12. STEM Saturdays are offered through the award-winning NIU Center for P-20 Engagement. 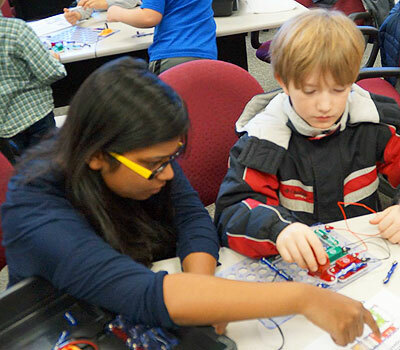 In addition to its STEM Outreach classes, camps, and events such as STEMfest and STEM Cafés, the P-20 Center directs innovative, life-long learning programs such as STEM Read, SmartSpace@NIU, the Center for Economic Education and the Regional P-20 Network for college and career readiness. For more information, call (815) 743-0533 or jjbenson@niu.edu.